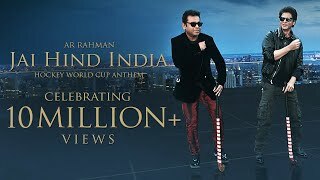 Jai Hind India Lyrics – AR Rahman featuring Shahrukh Khan: This is the anthem for Hockey World Cup 2018 where India is the host. The tournament is scheduled to be held from 28 November to 16 December 2018. The song is composed by AR Rahman with lyrics written by none other than Gulzar.